Botox has been FDA approved to diminish the appearance of furrowed brow and frown lines since 2002. 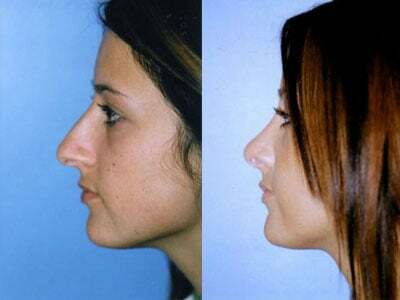 It is one of the most popular cosmetic procedures in the United States. It’s no wonder that it’s not just women who are enjoying the benefits of this so-called “fountain of youth.” Today, more than ever, men are taking advantage of the miraculous age defying benefits of Botox as well. Particularly in recent years, more and more men have been benefitting from the anti-aging effects of Botulinum toxin, the main active ingredient in Botox. Looking younger is no longer just about wanting to look good – although it certainly has that advantage too – but it is also seen as a way to advance one’s career or project more confidence in day to day life. Botox may be just skin deep, but the benefits don’t have to be. Find out more about why men love Botox and then call our Corpus Christi office to schedule an appointment with triple board certified surgeon Dr. Hervé Gentile today! Dr Gentile has used Botox since the 80s since it was originally used to treat certain eye disorders, which led way to its current and most popular use today. Doctors found that it had the added cosmetic benefit of decreasing the appearance of wrinkles and lines around the forehead, eyes, and nose that caused people to look weary, old, or angry. Botox utilizes a highly purified form of a neurotoxin known as Botulinum Type A. In small doses, botulinum blocks the release of the chemical that causes muscle contractions. This means that, when administered correctly, it will decrease muscle contractions that actually cause wrinkles to form over time. Furthermore, this means that not only can Botox diminish the appearance of lines and wrinkles, but it can also prevent the formation of new or worsening lines and wrinkles. Since Botox works by temporarily freezing muscle contractions that form wrinkles, it can only be used to treat dynamic wrinkles. Dynamic wrinkles form on the skin by repeated muscle movement. Other types of wrinkles, such as one’s that form from the natural loss of elastin and volume in the skin, causing it to droop, cannot be treated. These wrinkles may be better treated with a lift or dermal fillers. Some patients request Botox for the treatment of nasolabial folds and marionette lines. However, diminishing the movement of these muscles would cause the face to look unnatural. Rather, Dr. Gentile recommends that patients interested in diminishing the appearance of these lines consider dermal fillers, which can reduce their appearance while maintaining natural movement. In addition to the aforementioned uses, Botox can be used to give the appearance of a temporary brow lift. This may be a good option as many male patients are not interested in the recovery time or invasiveness of a full brow lift procedure. It will require multiple treatments though for more lasting results. Other uses for Botox include the treatment of hyperhidrosis, also known as excessive sweating. Typically, in this procedure, Botox is injected into the sweat glands in the arm pits. It can also be used to treat excessive sweating in the hands, face, feet, and under the breasts. Furthermore, Botox can be used to reduce the appearance of an overly gummy smile. As Dr. Gentile can personally attest to, an increasing number of men have been coming into our Texas location for Botox injections in the past decade. It is no longer just women who want to retain their youthful features. Both men and women have found that a younger, less severe looking face can give them a boost in their career and social life. In fact, men as young as in their 20s are coming in for Botox injections to prevent future lines from forming and stave off aging early. Botox is performed differently for men than women because men’s aesthetic goals are not the same as woman; this is why there is treatment dedicated to the different genders. Men come in for Botox treatments to make them appear less stern and age more gracefully and attractively. Botox for men as performed by Dr. Gentile will not leave men appearing as though they’ve just had work done. It will leave them with a more attractive, wrinkle diminished appearance that will have people giving them double takes. Many patients who are concerned with the appearance of dynamic wrinkles around their forehead and eyes may be good candidates for Botox treatments. Patients may also be interested in Botox treatments to fix banding around their neck, gummy smiles, or improve symmetry after Bell’s palsy. As long as patients are in good health and have realistic expectations for the treatment, they may be good candidates for Botox. They should not be allergic to any of the ingredients in Botox, which is extremely rare. Dr. Gentile has never seen an allergy to Botox in thousands of patients. There is no “perfect” age to start Botox injections; however, the majority of our patients begin getting injections in their 30s or 40s, with some beginning as early as in their 20s in order to prevent the future formation or worsening of lines and wrinkles. As a first-time Botox patient you are required to come in for a consultation prior to scheduling any treatments with Dr. Gentile. During this time, Dr. Gentile will determine whether you are a good candidate and work with you to develop a personalized treatment plan that will best meet your aesthetic goals. Botox for men is frequently combined with dermal fillers in order to offer comprehensive facial rejuvenation. Some of the most popular dermal fillers we offer at A Better You Cosmetic Surgery and Laser Center include hyaluronic acid fillers (Juvéderm and Restylane), Radiesse, and Sculptra. Dermal fillers can be used to treat and diminish the appearance of nasolabial folds, marionette lines, vertical lip lines, and a loss of volume in the cheeks, chin, lips, and even on occasions on the backs of the hands. Dr. Gentile focuses on the patient’s unique anatomy when recommending injectables that would best accomplish their aesthetic goals. Older patients with more severe wrinkles and excess or drooping skin may not be able to achieve their desired goals with Botox and/or fillers. These patients may be better suited for a facelift. A facelift, although a more invasive procedure, offers comprehensive results for patients with more extensive aging characteristics. The procedure involves making a discreet incision along the hairline. Then, Dr. Gentile can reposition muscles and tissues in the face that may have started to sag due to gravity. 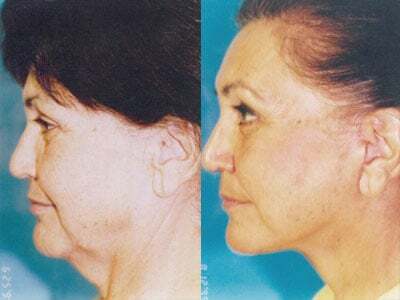 In some cases, he may also remove excess fat from the neck and jowls to give the patient a more contoured jawline. Then, he will remove excess skin from the face and suture the skin for a natural look that can take years off one’s appearance. The Botox for men procedure is fast and relatively painless, making it a highly attractive male anti-aging treatment. The procedure is so easily administered that many men schedule it during their lunch break or in between appointments. The needles for injecting Botox are extremely fine and thin. Most patients don’t find the injection very painful and will not require an anesthetic. However, for those with lower pain thresholds or who would like to minimize pain entirely (1% of the patients), Dr. Gentile recommends a topical anesthetic. It should be noted, however, that topical anesthetic will take some extra time to fully numb the area. Finally, the doctor himself will administer the injections. This typically takes 10 minutes. Afterwards, the patient is free to continue on their normal routine. There may be some slight redness or swelling around the injection sites, which dissipates quickly on its own. One of the great benefits of Botox for men is that there is no recovery time! However, we do not recommend that patients for the first few days see their barber or dentist or get any other facial treatment. Patients should be aware that Botox is not a permanent solution to their concerns. Botox is FDA approved to work for 120 days, or about four months. 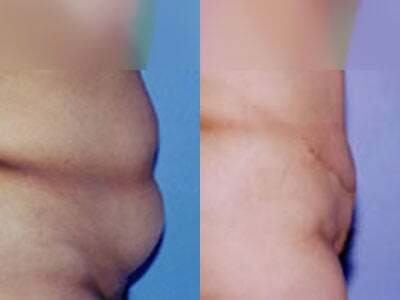 At about three to four months but this varies, the effects will begin to dissipate. The patient will then require new injections if they wish to maintain their results. Patients who have not received Botox injections from Dr. Gentile before are required to come in for a consultation prior to their first treatment. During this initial consultation, Dr. Gentile will ask you about your concern and you will have the opportunity to discuss why you are interested in Botox treatments. Dr. Gentile will then determine whether or not you are a good candidate for Botox by completing a physical exam and understanding your medical history. After Dr. Gentile has determined that you would be a suitable candidate for Botox, he will work with you to develop a customized treatment plan. In some cases, the doctor may recommend additional or different treatments, depending on your aesthetic goals. At this time, you will have the opportunity to schedule your first treatment. Find out if there are any specials. Contact our Corpus Christi, TX office today to schedule a Botox for men consultation at A Better You Cosmetic Surgery and Laser Center!